Providing you the best range of ro membranes, micron cartridge filters, industrial strainers, uf membranes, ion exchange resin and duplex filters with effective & timely delivery. 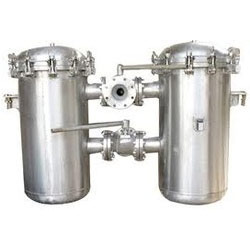 RO Membranes provide water softener, which is sourced from reputed manufacturers who make use of quality raw material and latest technology in the production process. RO Membrane are offering by us those are made by high grade of material. It is very important to drink clean and pure water as it ensures healthy living and they help in doing so by removing all the impurities from water and making it fit for drinking. These membranes are widely installed in RO systems so that these can efficiently remove dissolved inorganic impurities from water samples. 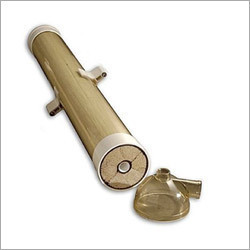 We manufacture & supply a wide range of Micron Cartridge Filters that is adequately designed for optimum filtration performance. The housings and accessories are designed for easy installation and compatibility with a broad range of cartridges and liquids. It consists of the housing and cartridge elements, mainly used in pretreatment. As well as providing clean drinking water, these systems help prevent contaminants from causing damage to water heaters and other appliances. 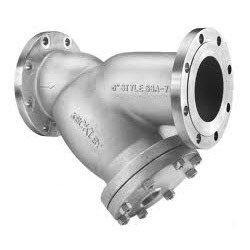 We bring forward Industrial Strainers that are available in varied designs and sizes. We ensure our ranges of raw materials used are of superior quality and durable. The strainers are used for separating liquid from iron particles. These Strainers are designed to perfection and are known for compact size, robust design, low pressure drop and easy maintenance. These products have been priced at very reasonable rates in the market. We are the largest manufacturer and supplier of Ultrafiltration Membranes. This membrane is used in purification of water to remove high molecular-weight substances, and organic, colloidal materials. 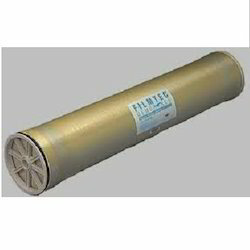 These UF Membranes are widely known for its durability and quality. We supply the broadest kinds of UF membrane to meet different application below: pretreatment of RO; post treatment of MF; terminal treatment for electronic, pharmaceutical; wastewater recycling treatment. It is made from good quality raw material, these products are available at very low prices in the market. 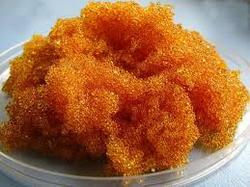 We are engaged in manufacturing and supplying a superior quality range of Ion Exchange Resin. Ion exchange resins are polymers that are capable of exchanging particular ions within the polymer with ions in a solution that is passed through them. These products have a high exchange capacity that is used in removal of impurity and hardness factor from the water. The cation & anion resins are useful for softening water, whereas DM & mix bed resin as used for producing ultra pure water. 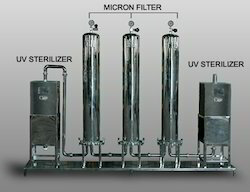 Unique design of Duplex Filters designed for sea water desalination, heavy acid / alkali chemicals. It consists of two filter housings connected in parallel through change over ball valves. It doesn’t require to be shut down for cleaning as it can continuously operate itself. Used in house filter cartridge, these housings are made using quality-approved stainless steel keeping in consideration parameters such as operating pressure, temperature. Looking for Water & Waste Water Components ?